Even if you aren’t considering a roof replacement right now, sometimes the weather has other ideas in store. 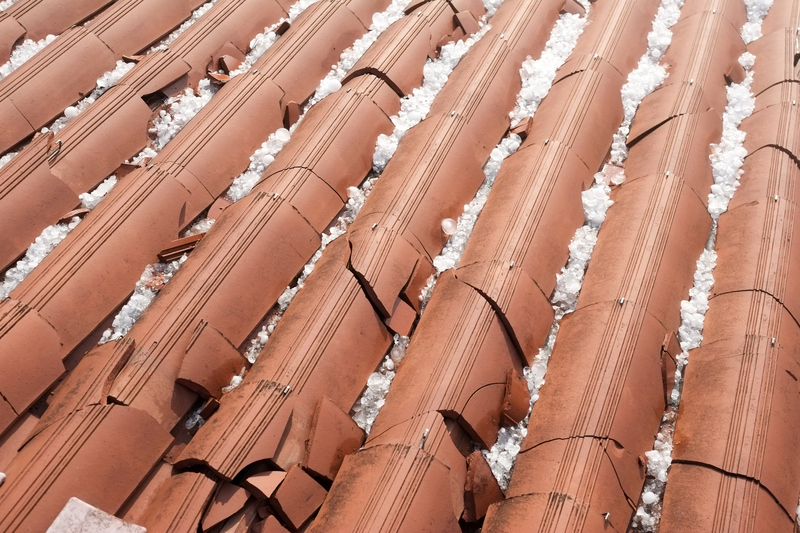 When storms strike, they often take their toll on your roof—and repairs can range anywhere from replacing a few shingles to an entirely new roof. Today, we talked with Magie Nunn, of New Braunfels Roof Repair and Leak Experts in New Braunfels, Texas, about storm damaged roofs and how basic roof maintenance can pay off for your home. Let’s start with the basics. When should a homeowner consider replacing his or her roof? How do you help homeowners decide which type of roof is right for them? What warning signs will alert homeowners that it’s time for a new roof? Let’s talk about the process of hiring a contractor. How many bids do you recommend a homeowner get before they accept an offer? Some homeowners tell us it can be hard to trust contractors. Is there anything that they should look out for when they’re collecting those bids? Do you offer warranties on both the materials and the labor? How does that work? 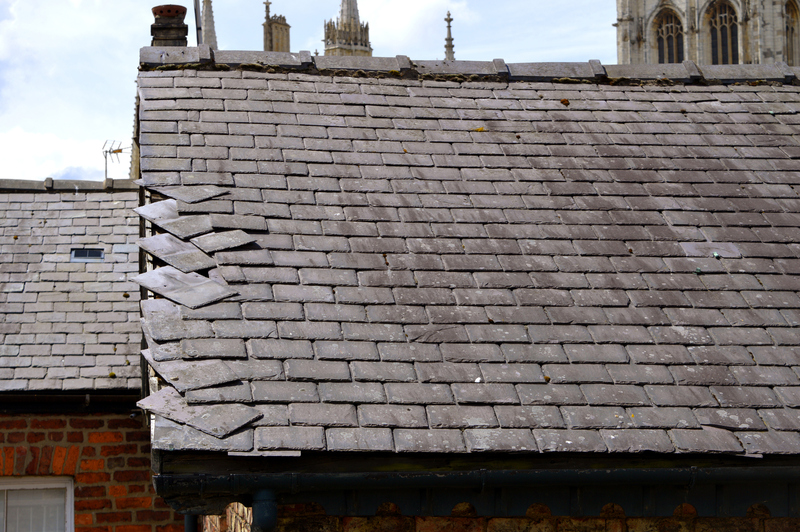 Do you wind up having to do a lot of insurance claims for storm damaged roofs? What does that process look like for homeowners? How does it work when you have to go through insurance for a new roof? Is there anything homeowners should watch out for if they go through insurance? Fraud, anything like that? What’s the most common repair you see—one that doesn’t require a complete roof replacement? We definitely understand that! Thank you for talking with us today, Magie. It depends on the age and what type of roof it is. Starting off, there are what are called 20-year shingles, and you’ll want to think about replacing those after about 15 to 18 years. Then you have 25-year shingles—these should be replaced after about 20 to 22 years, and for 30-year shingles, between 25 to 27 years. Next, you have metal roofs, which can last 50 to 60 years, and then tile roofs, which you really shouldn’t have to replace in your lifetime—they can last hundreds of years. If there’s storm damage, you should contact insurance—that’s a good way to get your roof replaced. But as far as age, those are kind of the general rules. It depends on location and budget. Cosmetics can also play a role. The most cost-effective will be shingles, then metal, and then tile. It really depends on budget and where you live—if there are higher winds, that can influence what kind of shingles you’ll need. Leaking is one. Another sign is recent storms—if you think you might have hail damage, that might be a factor. We recommend having your roof inspected at least once a year for general maintenance. Roofs need upkeep just like a car. You get your car serviced every three thousand miles. Well, it’s kind of the same thing with your roof; give it routine maintenance and it’ll maintain integrity and last longer so that you won’t have further damage. As for shingles, they’re basically a square of tar that’s been compressed, with rocks on top. Once those rocks start to come loose and the shingle looks bare, it starts to expose the fiberglass and the tar. And usually, you can tell that wear is happening if the roof looks shiny. That’s a good way to tell that you need a shingle roof replaced. It starts to look white and shiny, which means that the fiberglass is exposed. The rule is three—and that’s usually enough. You can kind of get a feel for what it’s going to cost. Well, if you get three, and one of them is way off from the other two, you might want to ask why. If it’s lower, ask why it’s lower than the other bids. If it’s higher, then you kind of know why—because they’re charging more. Since we’re a local company in New Braunfels and Texas gets a lot of wind storms, there’s something specific we advise. Some roofers will capitalize on a local storm that has done a considerable amount of damage to many roofs—they’ll come to town from all over the country, chasing the storms. That’s something to look for—you really don’t want someone from Iowa to replace your roof in Texas, because most of the time, it’s going to be hard for them to honor their warranty. If they come and replace your roof and you have a problem afterward, it’s hard for them to fix your roof when they’re in Iowa. Sometimes they’ll be a little bit cheaper than local companies, but it’s hard for you to get in touch with them and for them to honor their warranties. We suggest that people steer clear of companies from out of state, unless it’s a big company that has offices everywhere. We offer warranties as a package. If you replace your roof with us, you get a five-year warranty, which covers leaks, any damages—if your roof happens to blow off in the wind—and of course, if we cause any damage, we cover that as well. Most materials come with their own manufacturer’s warranties. We don’t offer any additional coverage. An example would be shingles: if you buy GAF shingles, let’s say, most of those are guaranteed for at least ten years. So we would file the warranty with the manufacturer. Yes, we do! Unless the roof is just of age, nine times out of ten, if you’re replacing a roof that’s not at that time threshold, then insurance is involved. First of all, if you suspect that you might have damage caused by storms or weather, your first step would be to call your insurance. They’ll send an adjuster out. Most of the time, the adjuster will suggest having a roofer come out, either before or around the time when he comes out. That way, he has a statement, if you will, to give weight to what the adjuster is saying. So if a roofer comes out and says, “of course, the roof is completely damaged, and it needs to be replaced,” and the adjuster says, “no, there’s no damage, you don’t need to have the roof replaced,” you have a little leeway with the insurance by having a statement from a roofer beforehand. Your two options are either, one, call the insurance and get with an adjuster—have them come out. Or two, call a roofer and have them come out and compare the two. If the adjuster recommends having it repaired as well, you move forward. You get in touch with the insurance, and depending on the insurance—what the deductibles are, etc.—they’ll either pay the roofer directly, or the homeowner will get payment from the insurance, and then the roofer gets payment from the customer. It just depends on how the insurance does it. Yes, I would definitely say to have that report from the roofer, to compare with the adjuster. Because insurance companies are in the business to make money. It depends on the adjuster—not all of them are this way, and in fact, most of them aren’t this way—but every once and awhile you’ll get someone who says that you don’t need something when you actually do. It’s always wise to have a professional opinion first because adjusters are not professional roofers. They’re trained to cover the whole house, and they’re not experts on roofing. So it’s good to have that roof expert advice to go with what you adjuster says. Shingles. Even if you need a few shingles replaced, shingle replacement is not usually something you need to go through the insurance for, because the cost to replace shingles is lower than your deductible, most of the time. There are vents on the roof. You have your plumbing ventilation that goes through the roof, and the coverings on those are called pipe boots. That’s probably the most common repair we do. Like I said, most of the time the cost to repair those are less than the insurance deductible. If you have storm damage, and the cost to repair that damage is less than the deductible, it’s best not to go through the insurance, because it’s going to save you money.